Here’s the challenging thing about making a kart racing game in 2018: No matter who it is trying to make a kart racing game, you will always be compared to Mario Kart, especially if you make a kart racing game on Nintendo Switch where the best kart racing game around (Mario Kart 8 Deluxe) is available. 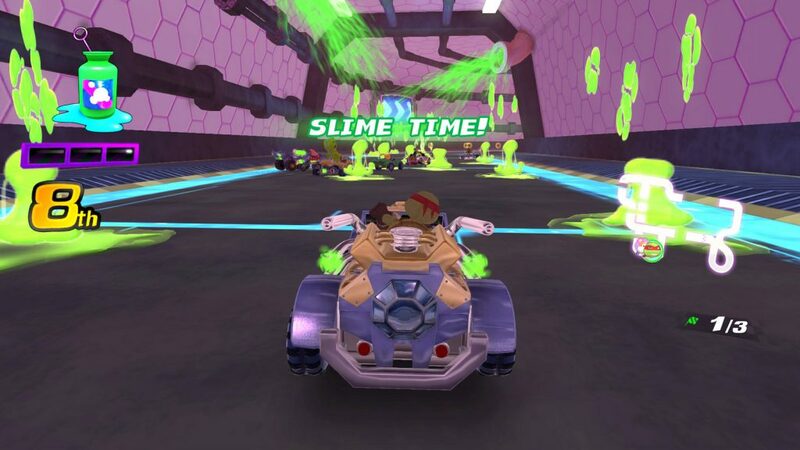 Nickelodeon Kart Racers tries to prove its worth on the platform by providing some classic Nickelodeon characters racing it out in cartoon kart racing fun. The problem? Nickelodeon Kart Racers isn’t fun. 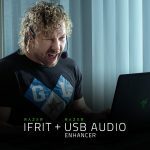 At times it isn’t even remotely enjoyable. It’s frustrating, broken, and unoriginal. Nickelodeon Kart Racers is a complete miss. Nickelodeon Kart Racers features 12 characters from popular Nickelodeon shows, like SpongeBob SquarePants, Teenage Mutant Ninja Turtles, Rugrats and more. The game features 24 tracks, taking popular locations from those popular shows for you to race around in. In addition to the standard racing mode, the game features a number of multiplayer modes. These range from your normal Grand Prix and Free Play mode to Capture the Flag and Tag modes. Nickelodeon Kart Racers offers up a good variety of tracks and modes to keep you playing for some time. Younger kids will not doubt enjoy being able to play as their favorite characters from Nickelodeon, although characters from Hey Arnold! and even Rugrats may be too old for today’s youth to recognize. Here’s the thing. Normally, I take the time to tell you all the good things I noticed about the game right off; point out things that really grabbed my attention or things that made for a really enjoyable time. Nickelodeon Kart Racers is really unique because of how few good things there are to say about it. The game does have a variety of tracks and modes, which makes the game feel more like a complete package. That said, nothing about any of the stages is that special. Take the image above, for instance. The track is from SpongeBob SquarePants, yet few things about it really make me think of SpongeBob. The world is bland, and nothing ever truly pulls you into the character’s world. Graphically, everything is just bland. 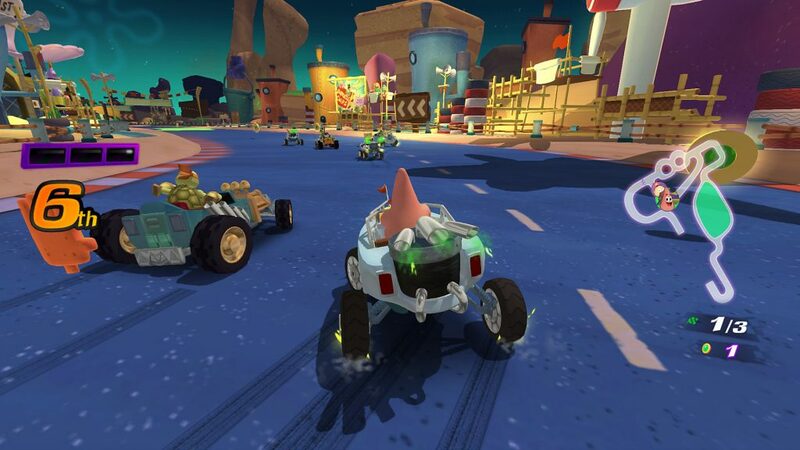 When you’re trying to pull people into the game and make them think they are racing around Bikini Bottom, visuals like these ruin the experience. It looks sort of like SpongeBob’s world but never nails it. That’s a continuous problem in the game. While the game features many tracks, none of them nail the theme they are going for. Even worse, none of the music from the shows is present in any of the tracks. This made racing around in Bikini Bottom or in the Pickles’ home feel unmemorable. The music is fine in the game, but it feels like a real miss. If I was racing in Bikini Bottom hearing actual music from SpongeBob, that might have helped make the experience feel more memorable. Or at least it would have made me think of the shows these tracks are inspired from. Performance-wise, this game fails to delver. The game obviously isn’t pushing the graphics on any console it’s played on. However, for some reason, the game fails to maintain any sort of steady frame-rate. It’s noticeable. Trust me, I don’t mention frame-rate that often in my reviews because I don’t tend to focus on that. However, if I am telling you the frame-rate is bad, then you know the frame-rate is, in fact, horrible. What’s confusing is that the frame-rate drops happen at the most random times. You’d think maybe it would happen when a lot of things are happening on-screen or when areas of the track get chaotic with enemies and weapons. Nope. Sometimes it’s when the race is just starting, other times it drops when you’re making a hard right turn. It’s random, and it happens way too often to ignore. To top it all off, we have the actual gameplay itself, which isn’t good. No matter what character you pick, the characters feel heavy and hard to control. Corners are nearly impossible to turn in, even when you try drifting. Like most kart racers, there are “weapon” pick-ups that you can use offensively or defensively. They are all pretty generic and do what weapons in every kart racer does (i.e., throw item at a person in front, target person in 1st place, etc.). The biggest problem with these pick-ups is that it’s impossible to save yourself from them. The game doesn’t really give you any notice that an item is coming towards you, making it nearly impossible to protect yourself. Many, many times in a match, I would have an item in hand, ready to use if anyone would fire one at me. Then, without warning, an item would hit me and knock me off course or stop me dead in my tracks. What’s the point of having defensive “weapons” if you can’t ever tell when to use them? I’ll be straight with you. 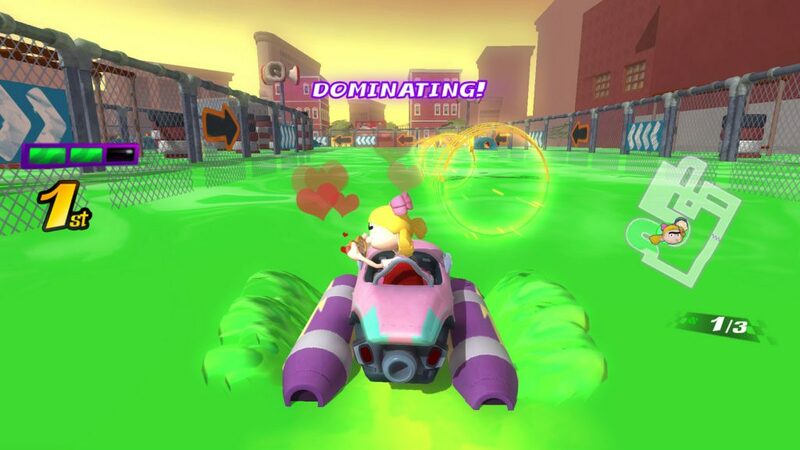 Nickelodeon Kart Racers is a total miss. It fails to be a fun experience that makes young and older Nickelodeon fans interested in it. It doesn’t do kart racing very well, it doesn’t look or play good and it doesn’t do any justice to the Nickelodeon characters included. If this game was $20 maybe, and I mean it’s a stretch to say ‘maybe’, you could pick this up and get some enjoyment from playing as Nickelodeon characters. However, this game costs $40, and trust me, it’s not remotely worth the price. Do yourself a favor: If you own a Switch, play Mario Kart 8 Deluxe. If you don’t own a Switch, get yourself one and play Mario Kart 8 Deluxe. Otherwise, I don’t see any reason why you’d want to pick up Nickelodeon Kart Racers over Mario Kart. Nickelodeon Kart Racers is a kart racing game you should absolutely avoid. While it features a good number of classic Nickelodeon characters and tracks, the game misses on nearly every front. All the characters feel heavy and hard to control, the "weapons" are impossible to protect yourself from, the game looks and plays poorly, and the game doesn't do any justice to the Nickelodeon characters included. If you're contemplating getting this game, don't buy it. Go out and play Mario Kart 8 Deluxe for an infinitely better time.